It has been ages since I have posted anything on crafts! I hope you have been missing them. But you won’t now because I have many crafts lined up for you all! Today I’ll start with my favorite – spiral rose. The rose time is in a new avatar; bright coloured and glossy roses. 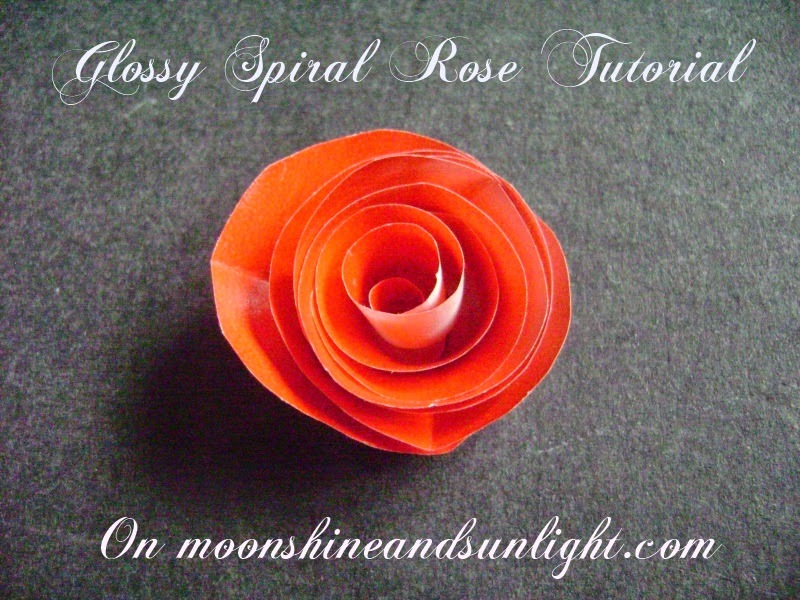 You must have seen my accented spiral rose here along with the tutorial. But that was with white simple paper which is present with every one of you. The paper I have used for these roses need a separate tutorial, you’ll see why. So shall we get on with the tutorial?? Glossy paper in bright colors, here we call these papers as marble paper. First cut the paper into small square pieces. 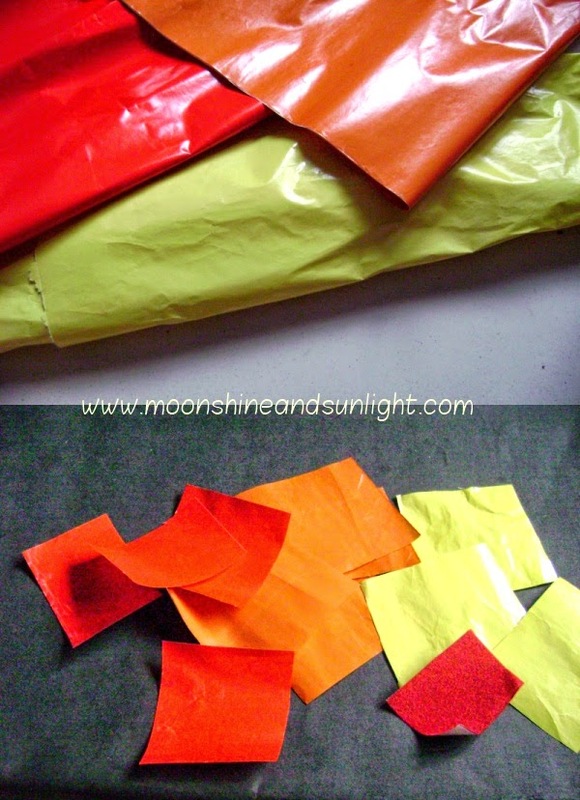 Since these papers are colored on only one side, you have to take extra care. 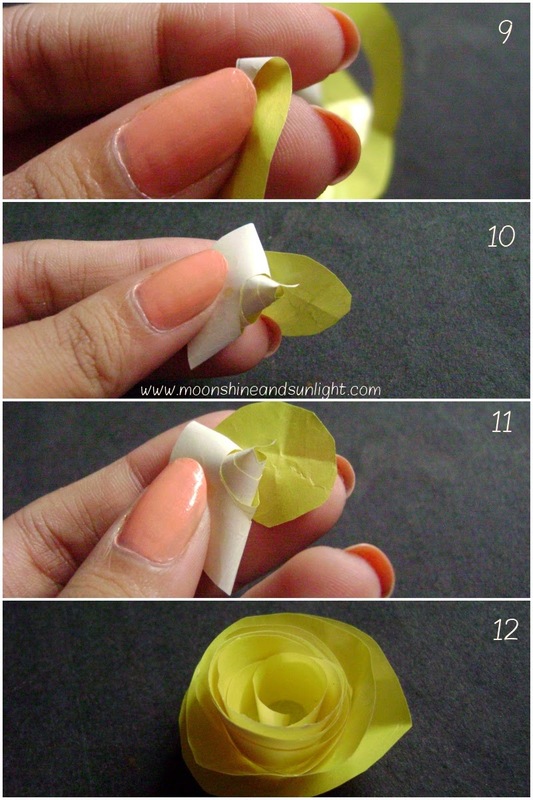 Fold the paper in half with the color inwards. Again fold the paper in half. You now have a small square. Draw a circular shape on one side of the paper. Now you have circular edges. 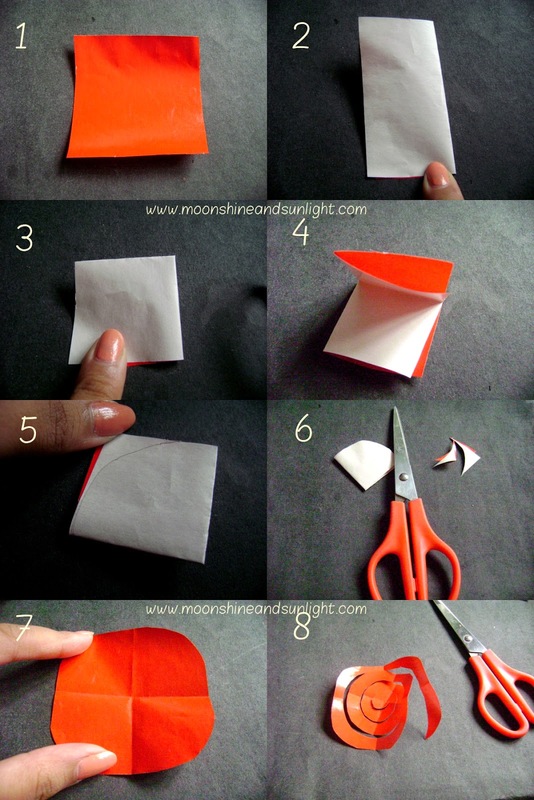 Start with any side and spirally cut the paper like I have done here. You will have a spring like thing. At the beginning start coiling the paper, do coil with the colour side inwards. Hold it lightly, but the base must have a firm hold. Go on coiling till you reach the base. Like it is done here. Apply little glue on the circular part left and slowly stick it to the coiled base. Any guesses on how I have used these lovely roses? 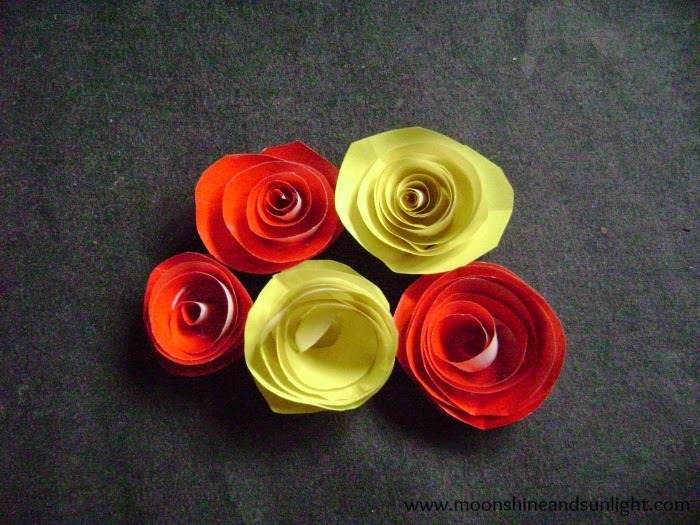 These paper roses brighten up the room in this gloomy rainy weather! Give these a try and let me know how it turned out! Till then stay tuned for more :), as I have promised for more crafts here :D.
And in case you are wondering which nail polish I am wearing,I am wearing this awesome color from Oriflame.